1. Cite the current trends of aging in the United States. 2. Assess and treat issues of activities of daily living confronting the aged. 3. Recognize and find proper treatment for major age-related diseases. 4. Define medication management issues and appropriate interventions. 5. Assess and treat coping issues confronting the aged. 6. Assess and treat social and leisure skills confronting the aged. 7. Recognize signs of abuse of the elderly and when and how to report it. 8. Identify options for long-term care. 9. Describe the issues facing caregivers. 10. Understand the basics of Medicare and where to get further information. The years 1946 to 1964 in the United States saw a great increase in the birth rate, known as the post-WWII baby boom. This group of baby boomers begins turning 65 in 2011, greatly increasing the number of "older people" living in the United States. As the population of the aged increases, the demand for services---and for those who can provide those services---also increases. It is estimated that from the year 2000 to 2010 the older population (65 ) will have increased 15% (from 35 million to 40 million). An even larger increase is expected in the following decade---a 36% increase to 55 million in 2020. The 85 population is projected to increase from 4.2 million in 2000 to 7.3 million in 2020. Just what is aging---a collection of losses or movement to a different potentially meaningful stage of life? Obviously it would be better if it were a movement forward rather than a stagnant waiting for the end---better both for the individual and for society. Of necessity, this course will largely present what things can go wrong, for they are many and your job is to aid your clients to a better life through your awareness of the potential problems and your skill in helping them through/around/over them. But your mindset will not be complete unless you are, at the very least, aware of goals that can add meaning to the elderly stage of life. The view is often present that many, if not most, aboriginal cultures have and have had a respect or reverence for the elderly. In some cases this is true. However, in many cases the emphasis on hunting and gathering activities---sustaining life in general---caused the elderly to be discarded. In fact, "other things being equal, the poorer a society is, the more likely it will be to kill or let die its oldest members" (Posner 1997, 205). When hunting and gathering took a back seat to agricultural development, permanent communities were established and division of labor became advantageous, the power of elderly people grew. When they became the chief land owners, they achieved more control over production processes as well as family life. At these times of history, old age became respectable and honored (Brown 1996, 386ff). During the past 300 years, the right of the elderly to maintain this control has been disputed. First, beginning in the seventeenth century, there was a movement for individual independence. "It was a theme that was stressed in philosophical and religious literature of that era, and has been applied to the political and family structures in Europe and the United States ever since" (Brown 1996, 387). The industrial age was the second force that threatened the power and status of the elderly. Both economic and social systems were refashioned. Instead of homes being the center of financial industry, production moved to factories; families moved from rural areas to cities to find work. Instead of the heads of patriarchal families being the business owners, corporate organizations owned them. The elderly now had to compete with younger folks for jobs at any level. Obviously, in many areas they were at a distinct disadvantage and were often unable to keep up the standard of living which they had formerly attained. Gradually many were forced from the work place, and the idea of the elderly being incompetent and dependent began to grow. Additionally, in recent times, the scientific and medical communities have presented aging as a time of losing mental functions and capabilities, of the body becoming progressively susceptible to chronic and crippling diseases, and of causing people to have decreasing learning capacities (Brown 1996, 388). Thus the circle has been moving towards more historic views of old age being one of dependency. Attempts are being made, to discover possible progressive developments in aging, a perspective enhancing views that aging can accurately be recognized as a progression of social, mental, and spiritual development---not merely decline. The view that lifetime experiences can become a type of wisdom ebbs and flows from time to time; when in a downward direction it causes the society to not benefit from those experiences. Aging is a complex process. Longitudinal studies have shown a complex interaction in genetics, health, physical and social environments, and an individual's behavior over the course of a lifetime. To add to the complexity, one's interpretation of life and beliefs of control and values influence longevity and quality of life (Birren and Schroots 2005a). Brown (1996, 389) suggests that "we can best understand the possibilities for the future by analyzing present conditions from the perspective of a struggle between those who view aging as loss and old age as dependence, and those who are beginning to define those entities much more positively. This very real struggle is complicated by both economics and politics. It is a struggle that is not well understood today, probably even by those who are involved. Yet the perceptions of old age and of the future position of the elderly in society are very much dependent upon its outcomes." He indicates that one side of the struggle is by institutions that design and control the services being provided to elderly people---institutions clearly having vested interests in continuing to define old age as a time of dependency. Although they offer valuable services to the elderly and have enhanced the lives of many, that is not where the struggle lies. It lies in the costs to both the elderly and society. One of the main costs to the elderly is the loss of self-reliance they may undergo in order to receive the services. The cost to the society is financial and a political struggle to manage the costs of the so-called entitlements---while at the same time the government is actually forcing the costs to go higher by siring and promoting more profit-making enterprises. This has resulted in "shifting the blame and the costs to the elderly and their families since politically the private companies involved cannot be allowed to fail" (Brown 1996, 390). On the other side of the struggle are the elderly themselves, actively or passively choosing lifestyles that separate them from institutions and individuals that would treat them as dependents. The options that have arisen are low-income housing for the aged, retirement communities, retirement centers and senior citizen centers. However, in times of physical or economic crises, the elderly generally must fall back into the dependent roll. There have been times when they are welcomed back to the workforce in some form, but that will probably decrease with the loss of so many jobs across the age board. Part of the approach of these elderly and their proponents is the promotion of new definitions of aging, wellness, and dying. They understand aging as being a time of potential growth, development, and wisdom---as well as having unique qualities, in addition to the obvious losses. They assert the right to live the way they choose until they die---including the right to refuse services and treatments they view as depriving them of their dignity. It will be your opportunity to aid more seniors to this kind of approach to aging if you will. 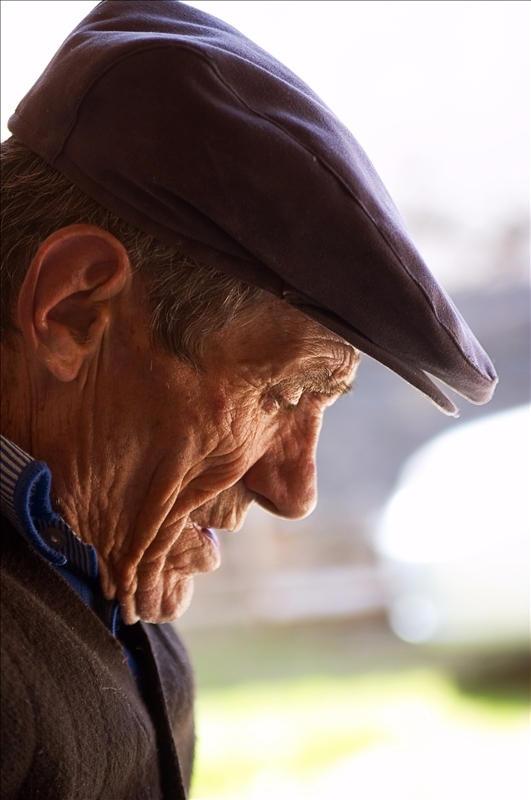 This course provides an introduction to the biopsychosocial issues facing the aged. It includes the exploration of different long-term care options with the aged and their loved ones. Many of these issues have the common theme of loss, including loss of relationships as a result of death, loss of physical abilities, mental capacity and functioning, independence, and the loss of productive or meaningful activities. Roles that have defined them for most of their lives, such as a career, no longer exist. Many work their whole adult lives looking forward to retirement, only to find that when they get there, it is not the panacea they thought it would be. There are, however, positive aspects of aging. Many elderly enjoy retirement, redefining roles that they can more independently define, and have the flexibility to spend more time on activities that they enjoy---spending more time with family, traveling, physical exercise, and joining clubs and service organizations. It is important to be aware of both the challenges and concerns of those that are aging, but also their strengths, potential and opportunities for a life that still maintains a level of vitality. Another concern when treating the elderly is that they are very vulnerable to physical violence, neglect, fraud and other types of abuses. This course will discuss these issues also, so the provider will know the symptoms and risks associated with the abuse of the elderly. Because professionals are generally not called upon for help when the positive aspects of aging significantly outweigh the negative aspects, this course will of necessity primarily present the negative aspects. A portion of the positive side is brought forward in suggested interventions given throughout the course.